July 7th, 2018 marked a momentous occasion for the Mighty4 Arts Foundation as we celebrated our 20th year anniversary at Old Alvarado Park in Union City. What began as a way to celebrate and promote the four main cornerstones of Hip Hop culture (Breaking, DJing, Style Writing, Emceeing) through competitive platforms has evolved into a festival event of consciousness and awareness honoring its yearly theme of “Hip Hop, Health, & Hope”. The morning kicked off with the follow up to last year’s Mental Health Awareness discussion panel featuring a stellar lineup of leaders, artists, & entrepreneurs sharing their stories in dealing with mental health: Paulskeee (Mighty4 founder, Rock Force Crew), Gina Mariko (Make It Mariko), East3 (Keep It Flowing Hawai’i), Freska (Koit 96.5), Anthony (Anthony Presents), Simone Hufana (Color Herstory), DJ Lean Rock, Gabe Delrokz (USF) & clinician Pia Bordon-Crosby. Following the discussion panel, Union City council member Patrick Gacoscos recited a proclamation honoring the 35th year anniversary of the world championship Rock Force Crew Breaking dance group which was created in Union City and currently continues to receive national and world titles. Since the beginning of Mighty4, founder Paulskeee continuously pays homage to the culture of Hip Hop artists/organizers through the Mighty4 Appreciation Awards. This year featured a lifetime achievement award for one of the world’s greatest DJ’s of all time, DJ Qbert of Invisibl Skratch Piklz/Thud Rumble. With partnering sound system organization Expressions Entertainment at the helm, DJs and performers were heard loud and clear throughout the park and set off a positive vibe. Mighty4 Day partner, Union City Farmer’s market also joined in on the festivities as attendees had a chance to shop for vegetables and fruits to energize their day. Also added this year Mighty4 Arts Foundation offered an internship to the San Leandro High School Business Academy and Union City community residents. Fitting the the mental health theme, Mighty4 Day hosted a healing station by Julz & artist East3featuring teas, coloring stations and more which was free to the public. Concluding the days events was an 2vs2 youth/adult open style battle hosted by RJ Kool Raul & Fred of Freestyle Dance collective in which Josh & Rock Lee took 1st place in the competition. Thank you to everyone who supported the Mighty4 Arts Foundation locally and internationally for the last 20 years and stay tuned for next year as we plan to get bigger and better! 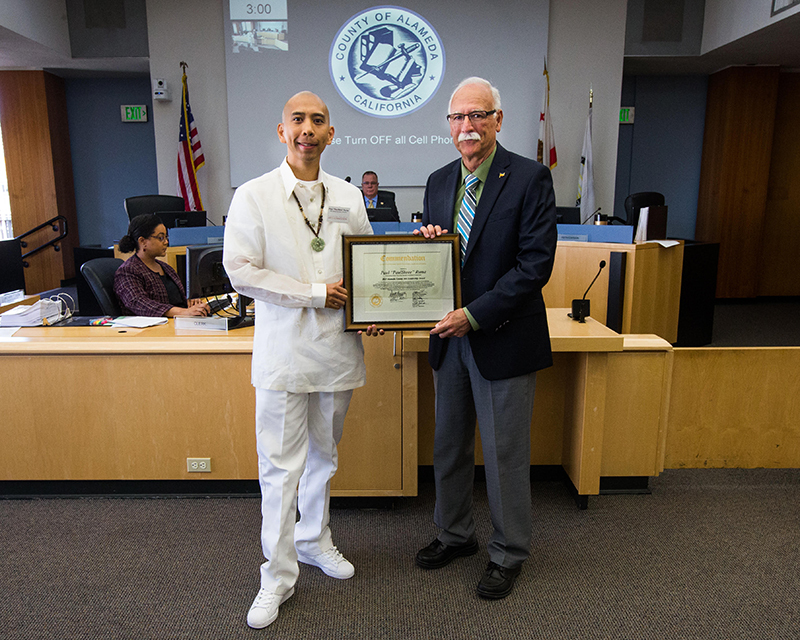 Mighty4 Arts Foundation Founder & President, Paulskeee, receiving the Alameda County Arts & Leadership Award from District 2 Supervisor, Richard Valle. The Alameda County Arts Commission is pleased to recognize six individuals for their achievements and contributions impacting the arts community and residents of Alameda County. The following individuals are the recipients of the 2015 Alameda County Arts Leadership Award: Bernice R. Bates, Sarah Crowell, Susan Dunn, Chris Johnson, Judy Lam, and Paul Ruma. The Alameda County Board of Supervisors commended these six individuals during the Board’s public meeting on Tuesday, September 29, 2015. This event is also presented in conjunction with the County’s celebration of California Arts Day and National Arts and Humanities Month of October. 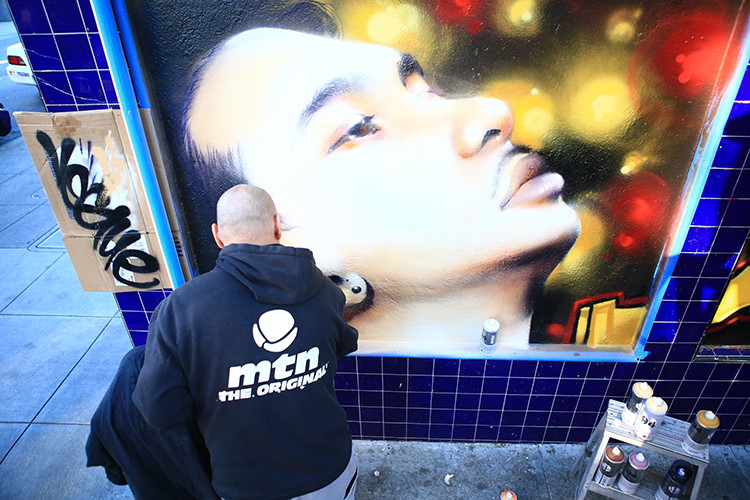 Paul Ruma of Union City is the founder and director of Mighty 4 Arts Foundation, an organization dedicated to preserving history, advancing artistry, and empowering youth through Hip Hop cultural arts. Since 1998 he has had international impact in over forty cities worldwide by providing education about Hip Hop culture through the community based events, classes, workshops and documentary productions. Ruma an accomplished B-Boy dancer who led his group Rock Force Crew to the Battle of the Year world championship of Breakdancing in 1998 representing the USA taking first place and continues to receive numerous international awards. As Hip Hop culture celebrated its 45th birthday this year on August 11th, just a week earlier Hip Hop culture also lost the legendary Valentin Becerril, known to most as Bboy Float. The legend goes that Valentin became Float of NYC in 1979. A member of the crew the Incredible Breakers, Float earned his place as one of the most influential bboys of all time in circles and battles. He approached dance with a soulful precision and finesse that lit up the crowd each time he hit the floor. Countless video clips reposted and shared by many around the world speak volumes of Floats contributions as a dancer, but it was his warmth and spirit that left a lasting imprint. Float was more than a legend – he was a loyal brother, friend, mentor, and partner. After a tragic accident that left him in critical condition while on tour in Europe, a GoFundMe campaign was started to help cover the costs of his complex situation. In days, the fund reached over $25,000 dollars to cover emergency medical, transportation, burial, and transition costs incurred by his family. 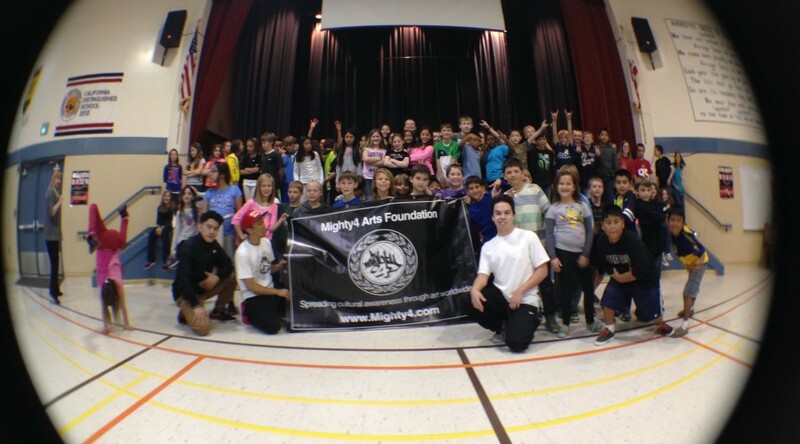 On August 26th, Mighty4 Arts Foundation organized a benefit workshop and all-styles battle to support this fund. Lean Rock of Floor Lords Crew (god son to Float), and members of Rock Force crew – Icey Ives (Alaska), Jonny UC, Morris, and Paulskeee generously donated their time to teach a two hour, in-depth Breakin’ workshop at MVMNT Studio. The workshop covered decades of experience among the world champions ending in a Q&A. Lean Rock also shared his own memories and experiences with Float. The culminating all-styles battle ended in a win by K-Fresh and Ann Smooth, and by the end of the evening, we raised over $480 dollars to support Float’s Fund. We encourage our community to continue to support Float and his family during this difficult time by reading more about his story and making a contribution here. Mighty4 was founded to celebrate a worldwide movement that has gathered people from all places, in the name of love for music, art, and dance. Central to our mission and values is also honoring the people who created that movement; the legends who earned their respect in person; who didn’t do it for the gram or likes; who gave their all in circles, on stages and walls. As we watch our pioneers turn into ancestors, we question what it means to protect their legacies and preserve their stories so they are not forgotten as Hip Hop culture continues to grow. Mighty4 Day 2017. Music, dance, performances, farmers market, vendors – it’s all going down in Union City, California!